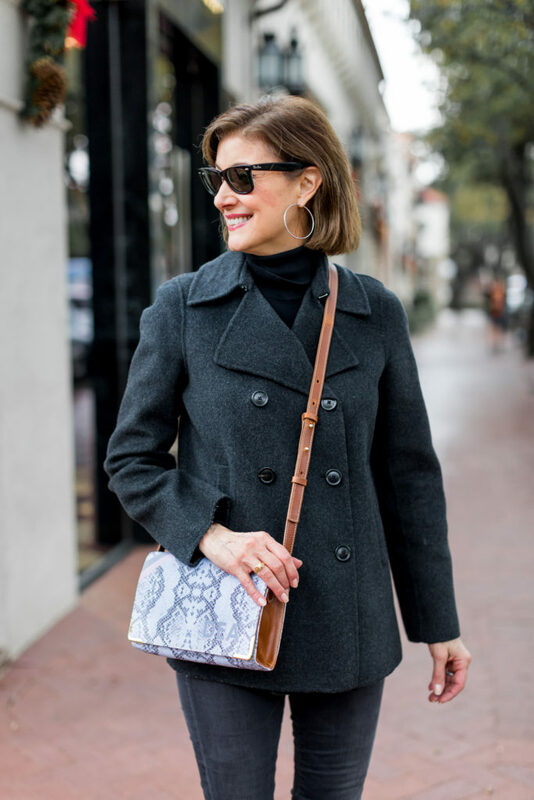 Did I Mention the Snakeskin Trend - Barrington Bags - Quality at at Great Price - Fashionomics "every page"
Happy happy January, the month that is literally flying by. It is cold and sunny in Dallas and I am moving slowly for some reason. Is anyone else sleepy?? 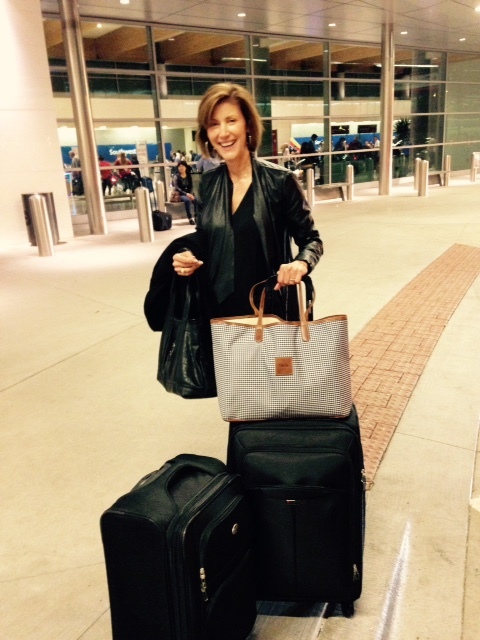 But not too tired to know a good investment when I see one and I have to say I love my Barrington Bags. I have several of their totes and always carry them for travel. The best part about Barrington is that you can literally design your own bag!! Choose your pattern, stripe (or not) and monogram (or not). Did I mention the snakeskin trend? Barrington has it covered. 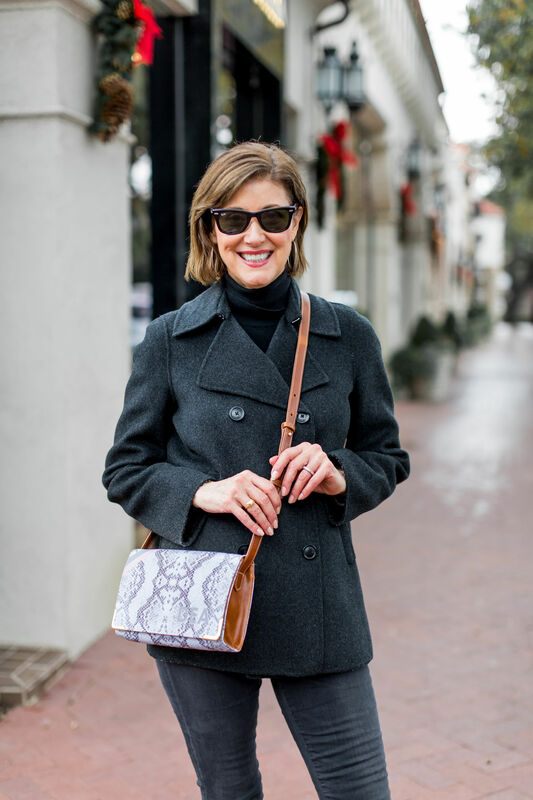 I am obsessed with this snakeskin crossbody with the very subtle stripe and monogram and plan to carry it year round. See what I mean about a great investment bag?? Use code HEART10 for 10% off through Wednesday, January 30th at 10:00 pm CST, and your order will arrive by February 14! Snakeskin is a real favorite this season and actually I have always loved it. I just wrote a really fun blog featuring a cool jacket I have worn so many ways. It is really a great neutral and goes all year round. 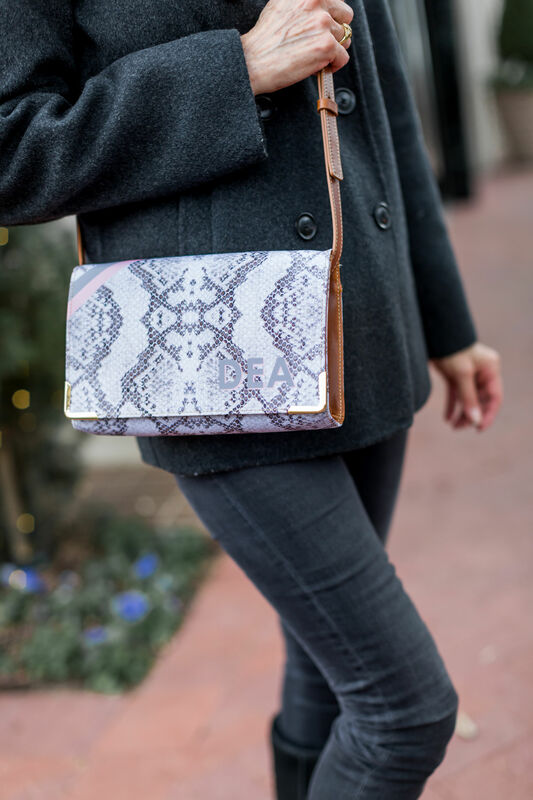 I love this snakeskin crossbody and had so much fun designing it. You know my obsession with cross body bags!! You can choose your print, leather color, stripe and monogram style on a lot of the bags. Each one is unique to you. I had so much fun playing around on the Barrington website today designing some different styles to show you. My first Barrington bag was the Cabin Bag for overnight trips. Since then I have acquired a few of their St Anne totes and love them all and carry one every time I travel. 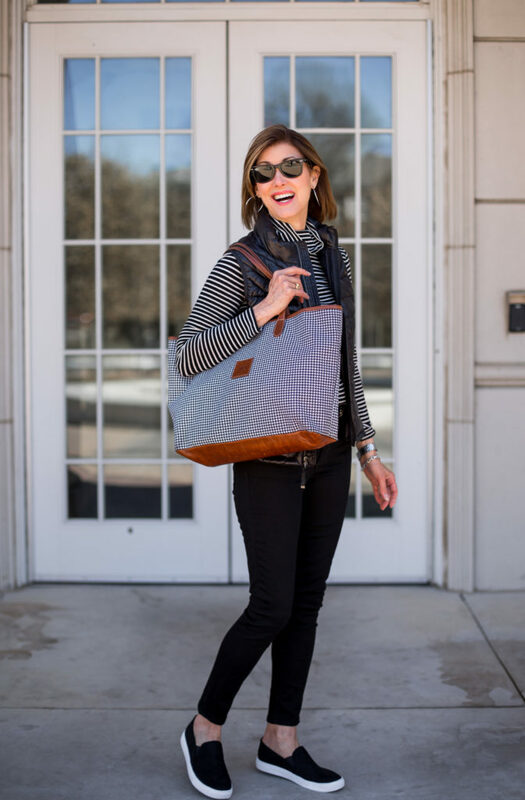 You absolutely can’t go wrong with a Barrington bag whether it is for yourself or for a friend. They make great gifts for men and women and you will be pleased with the quality every time you order. Below you can see the St Anne tote in the Axis pattern. One of the most popular patterns they offer. I have a vintage black and white houndstooth tote that I hope they will bring back one day, maybe in honor of Coach Bear Bryant of Alabama. Use code HEART10 for 10% off through Wednesday, January 30th at 10:00 pm CST, and your order will arrive by February 14. Great post Debby!! 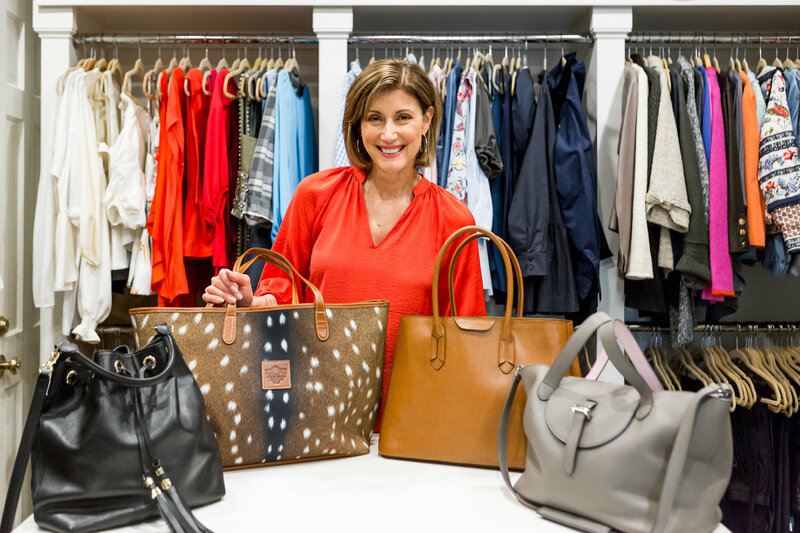 Can’t have too many Barrington bags! !